This article is part of our special report Cross-border business in the digital era. Whether you’re a furniture maker from Berlin, a traditional Aran sweater manufacturer in Ireland or a Polish wedding stationery designer, there’s no reason why national borders should hold your business back, writes Ciaran Quilty. Ciaran Quilty is Facebook’s vice president for small and medium businesses, EMEA. Take for example Alf Nagel, who took his family’s 35-year-old Berlin furniture shop Holzconnection online, found new customers through their Facebook page and now exports their furniture to other countries. Or Malgorzata Bartoszewicz from 4 Love Polka Dots, who, after being unable to find wedding accessories or invitations in the Polish market, decided to make her own. She now ships her beautiful wedding accessories worldwide. Reaching customers in new countries is no longer the sole preserve of big and experienced companies. Digital technologies enable businesses of all sizes to be multinational and unlock the door to cross-border and international trade. To have a lasting economic impact, create more jobs and enhance Europe’s overall competitiveness, start-ups and small companies need to prosper and take full advantage of the possibilities of digital technologies to improve their efficiency and productivity, as well as to reach customers and make sales beyond borders. The European Union’s Digital Single Market initiative has a clear objective of paving the way for more European companies to scale up in Europe and grow globally. After all, the EU is all about making the most of the single market of 500 million consumers, no matter where a business is located. Having worked with so many fantastic small companies during my time at Facebook, I know there’s a huge opportunity for SMEs to reap the rewards of connecting with more and more people in different countries. More than 1 billion people on Facebook are connected to a business outside their own country, and nearly seven out of 10 people on Facebook in Europe are connected to at least one business in a foreign country. How Europe’s SMEs can succeed and grow is therefore a central concern for us at Facebook. We measure our success by our ability to create more value for the economy as a whole. At the heart of this lies our work with small businesses, particularly those exciting companies who are innovating, growing and contributing so much to Europe. That’s what my job is all about. So far, in 2017 alone, we have conducted face-to-face training with 12,000 businesses across Europe, and many thousands more in the past few years. Also, almost 2.5 million SMEs and entrepreneurs have taken our online learning course, BluePrint. We want to make our contribution to Europe’s economic conversation and to actively help more of Europe’s SMEs unleash their full potential and take advantage of the opportunities to grow — not just in their home market but in Europe and further afield. Ensuring that businesses succeed partly depends on the environment in which they operate. We all know that decisions made in Brussels — as well as in other capitals throughout Europe — have an enormous impact on how small firms and businesses grow in the digital economy. This week’s Future of Business Summit and Exhibit — which we’re hosting alongside the Lisbon Council — will consider how the EU’s digital policy agenda can support companies to make this leap, without imposing additional blocks to innovation and growth. I’m excited about convening a conversation about how the EU’s digital policy agenda can support companies, and will provide some relevant data from our recent research in collaboration with the OECD and World Bank. And most importantly, we’ll hear the stories of success and struggle directly from the Nagel family from Holzconnection, Malgorzata Bartoszewicz of 4 Love Polka Dots, and from other founders and leaders of growing small businesses. Each of them has used digital tools and platforms to grow and build their business, connect with customers, grow awareness of their brands and drive new sales. Their stories are proof that digital is a recipe for success and growth in Europe’s economy. It’s also a message of hope and encouragement to those millions of small businesses and start-ups looking for the help and the route to fulfill their ambitions. We must hear their voices as we work together to realise the benefits and rewards of Europe’s digital future. Facebook is excited to play its part to help businesses thrive and boost the economy. 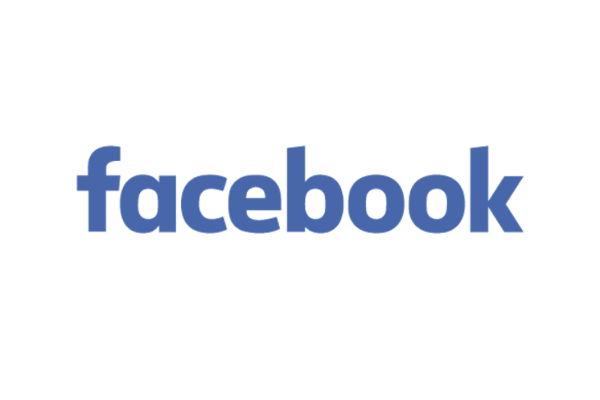 The opportunity for businesses to create new growth by going digital will be the focus of Facebook’s first ever ‘Future of Business Summit’, which is taking place in Brussels this week.